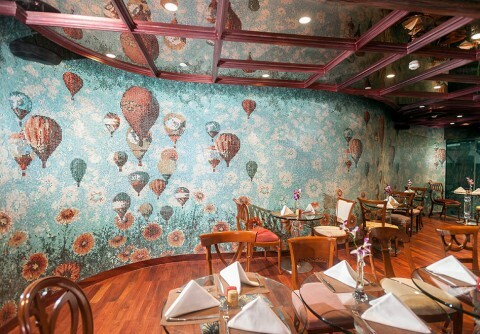 Located in the main street in HO CHI MINH, Vietnam, the luxurious ‘The Reverie Hotel’ is unique thanks to the special L-shaped layout, to achieve the best sun exposure. The particularly and sophisticated fashion created from the perfect combination between Italian and Asian style, is expressed by bright colors, typical of the Vietnamese culture. 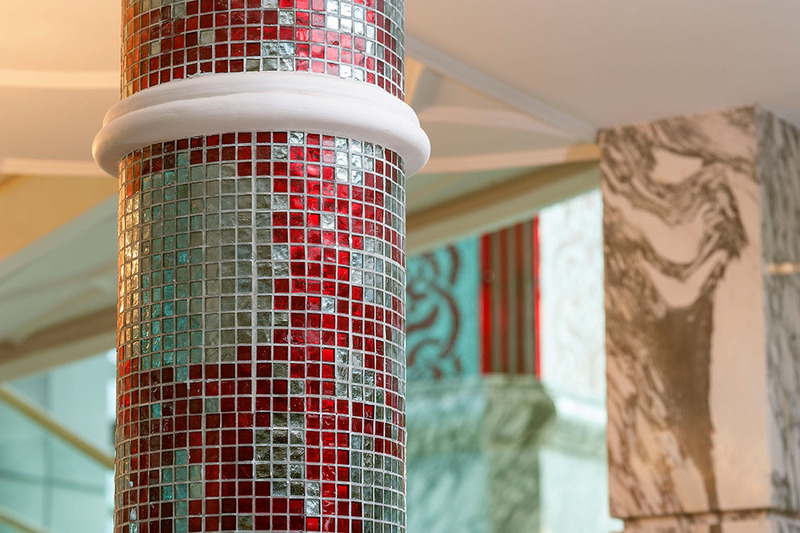 In this project, next to the most famous Italian designers, SICIS has contributed to export the art, the skills and talent from our country. 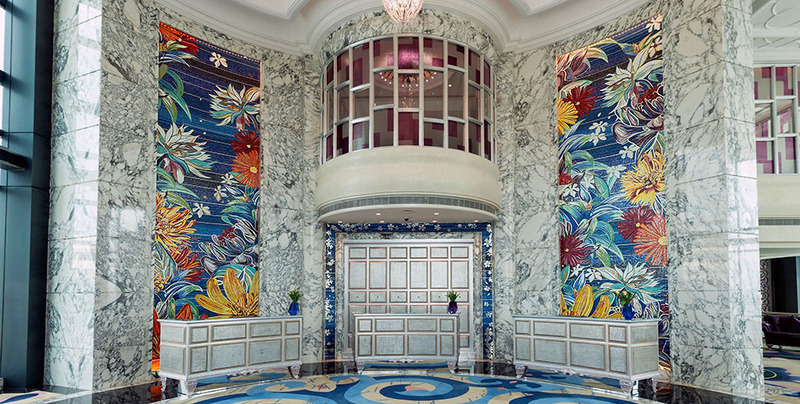 The Flower Power pattern with Colibri and Platinum inserts animates the foyer at seventh floor, the surfaces in the suites are adorned with PixALL and NEOGLASS collections, and in all the environments Sicis mosaic embellishes each detail of this marvelous hotel. The path to reach the wellness area, is characterized by Twiggy and Lace arrangements from the PixALL Collection, adding an elegant and refined look to this relaxing area. 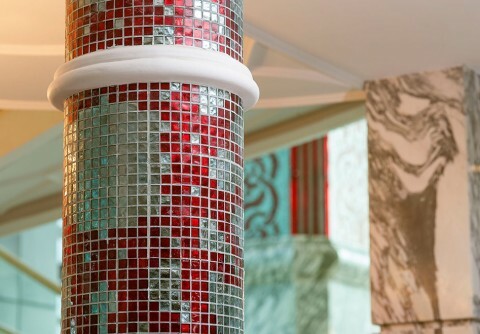 Amazing restaurants and bars are also adorned by Sicis with exclusive and unique decorations in mosaic. Among them, the CAFE CARDINAL, with exceptional views of the city, which is distinguished from the others by the majestic and impressive columns covered with a mosaic pattern made exclusively for the Resort. The involvement of the most talented craftsmen from all over the world has allowed the perfect combination of Asian and Western culture, creating a perfect harmony.